A team of experienced science divers has created the world's first submersible touchscreen for a tablet computer, whose applications are already helping marine scientists, law enforcement, explorers and other professionals toil beneath the waves and could usher in a new era of underwater ICT. It's part of a new wave of subsea technology, which also includes pulsed-laser cameras capable of making 3-D videos of the ocean environment in real time. Finnish technology firm Valtamer has developed an impermeable, rugged case of metal and plastic to protect a touchscreen tablet from water up to 150 metres deep. The transparent front of the casing contains a plastic membrane that is responsive to touch. According to its inventors, this piece of sub-aqua kit could transform the work of professional divers. 'The traditional way of taking notes underwater is to write things down on a white board with a pencil,' said Valtamer co-founder Jouni Leinikki. A scuba diver using this tablet computer can now swipe to record gigabytes of data in an exportable and shareable computer file. As a biologist, Leinikki has spent much of his career surveying marine life. He set out to develop the first underwater tablet when he became frustrated by the barriers that the elements present to electronics in his fieldwork. Following the technical development phase, funding from the EU is now enabling his innovation to reach its first customers. 'Valtamer spun-out of Alleco, a Finnish marine biological consultancy, to develop this product,' said Leinikki. The tablet is assembled from off-the-shelf hardware but has required over a year of research and development to optimise the right choice of materials necessary to withstand the extreme pressure conditions of working deep underwater. With the design now finalised, Valtamer has produced its first prototypes and has been running tests with pilot users this year in real-world situations. The tablets can already support GPS navigation through a cable tethered to a buoyed receiver on the surface. Field test results are feeding into new software and devices that will eventually offer full internet connectivity. In the meantime, manufacturing facilities in Finland will be launching commercial production of the company's tablets in the coming year. At a cost of over €2,000 a unit, Valtamer plans to enter the market by targeting scientists, rescue services and the military. Notably, it is cooperating with Aqua Lung, the world's leading distributor of diving equipment, to access the worldwide market of professional divers. As further improvements eventually cut costs, the equipment will also offer products to water sports enthusiasts to monitor their dive and navigate underwater. According to Leinikki, the technology has broader potential for marine research. He foresees that the technology could ultimately help roll out other advances in submersible electronics and provide controls for instruments to explore the vast and largely uncharted depths of the planet's oceans. Jens Thielemann, a senior research scientist at Norwegian tech company SINTEF, said: 'There is a lot happening in underwater electronics.' His research institute is filling a niche in sub-sea imaging by equipping high-tech cameras with pulsed lasers, ultra-fast detectors and clever algorithms. Last year, SINTEF assembled the components into a submersible camera that divers can control to scout out the waters around them. By emitting brief laser pulses and timing their return signal, computer programmes on board reconstruct a 3-D image of the surroundings. This technology, known as LIDAR, is commonly used by surveyors and architects to create 3-D models on land, but deploying it underwater raises new issues. 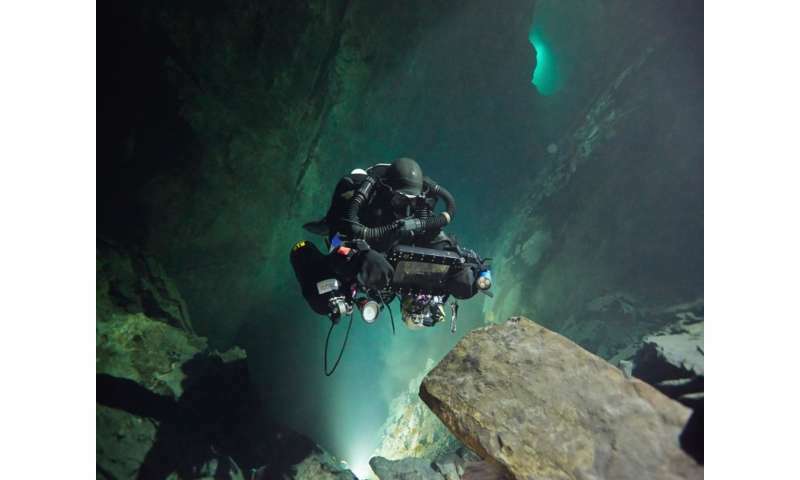 'Imaging in the water is like driving through the fog,' said Thielemann. 'There are a lot of particles floating around that are scattering the signal. More light won't help see past them.' To lift the haze, SINTEF has coded software smart enough to distinguish between true signals and backscattered noise. Distance measurements offer vital information for mapping shipwrecks, monitoring ecosystems and surveying fisheries. Today, underwater images show little difference between big fish far away and small fish nearby. Associating radar-like information to each pixel can offer valuable insights into the size, distribution and distance of the objects in the picture. Recording this information imposes daunting challenges on the speed of the electronics at work. As part of the EU-funded UTOFIA project, SINTEF has worked with SMEs and research centres across the EU to combine faster lasers and detectors into a camera that fits inside a backpack. Not only do the resulting components meet the requirements for distance-resolved photographs underwater, they also function a hundred metres below sea level and operate fast enough to capture 3-D videos in real time. Project partner Subsea Tech in Marseilles, France, is now assembling the final product for release in summer this year. The cameras will rely on hardware on land to display their images, but future generations could incorporate underwater tablets of the kind developed by Valtamer to provide divers with immediate feedback. Thielemann hopes that a few years from now, computer algorithms can help screen the 3-D images autonomously, interpreting their content and flagging up warnings or scientifically relevant information to human operators. I look forward to future versions of this type of underwater computer setup that could be adapted to dolphin and whale use. I'm sure we could learn tons of stuff just monitoring their use assuming we can figure out how to give them tongue based input or something similar.